the American World Tribune has published yesterday a report written by a former official in Congress, in which he asserted that Qatar and Turkey are financing a "free Egyptian army" that is being trained now in Libya. this claimed army gathers elements of Al Qaeda and Syrian, Lebanese, and Afghan fighters that are connected with the Qatari intelligence waithing for being ordered to move to Egypt . the report was written by : Yossef Bodanesky, Senior Editor, Global information System \ defense and Foreign affairs. The struggle for Egypt is on the verge of a major escalation as the key sponsors of the jihadist cause in Syria are now committed to a similar campaign against Egypt. The overall strategic objective is to prevent the emergence of an inward-looking regional order based on the Arab heartland, shielded by the Fertile Crescent of Minorities, and thus excluding the external forces. A strong and stable Egypt is considered a cornerstone of such a regional posture. Because Russia is the primary supporter and sponsor of the emerging regional order, the sponsors of the jihadists are convinced the U.S. Barack Obama Administration supports them just as Obama is supporting their jihad in Syria. Jihadist sources directly involved in the sponsorship of jihadist causes in Syria and Egypt just reported on the comparable effort against Egypt. The Libyan intelligence services allegedly permit — or at least cannot control or constrain — the advance preparations. “Factories in Libya are making Egyptian Army uniforms and distributing them to members of the Free Egyptian Army, in preparation to enter the country in the future and implement those schemes and awaiting the zero hour, which will be set by the intelligence agencies that control them,” the sources said. Large quantities of weapons, vehicles and other equipment are being delivered to the Egyptian groups and stored in the Darna self-declared “Emirate” in Libya’s Cyrenaica region, pending dispatch into Egypt. Most of the combatants engaged were reported to be experienced jihadis, mostly not of Libyan citizenship, but including a considerable number of Sudanese and other fighters who had gained experience in Syria and elsewhere. The Emir (Commander) of the Free Egyptian Army is Sharif al-Radwani. He is currently running the training camps and weapon storage site of the Free Egyptian Army in Libya. In recent years, Sharif al-Radwani participated in the jihads in Syria, Lebanon, and Afghanistan-Pakistan. The key commander responsible for coordination with foreign sponsors and intelligence services is Ismail al-Salabi. He is a senior member of the Al Qaida high command. Significantly, Ismail al-Salabi is a friend and confidant of the head of Qatari intelligence, Ghanem al-Kubaisi, and both meet frequently. The senior commanders are also coordinating with the supreme leaders of the clandestine arm of the Muslim Brothers the launch of terrorist operations inside Egypt. 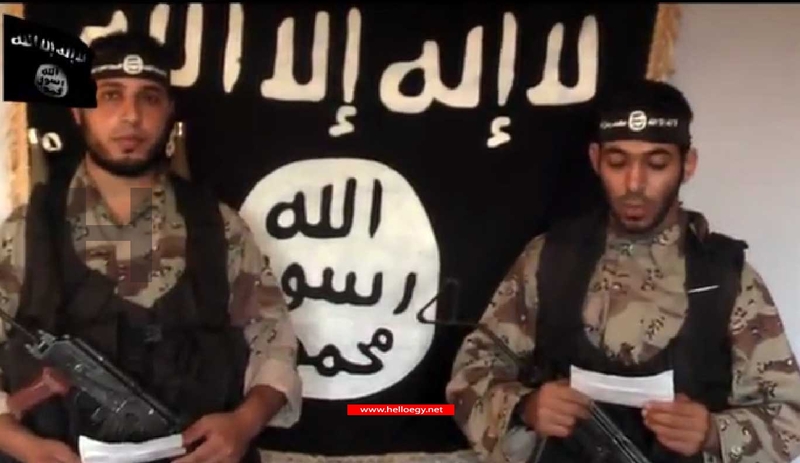 The jihadist sources specified that “Kami al-Saifi and Ismail al-Salabi, who are both in Al Qaida, were in contact with the Muslim Brothers’ (Ikhwan) Deputy Supreme Guide Khairat al-Shater and have a special role to play in creating instability prior to the upcoming presidential elections”. The overall activities in the training camps in Libya suggest that the Free Egyptian Army is comprised of a few distinct elements, each of which joined after building expertise and cohesion in other jihadist fronts, mainly Syria and Libya. The best organized and best trained are the “Al Qaida elements” under the command of Sufian al-Hakim. They joined the training camps as a cohesive unit with well-defined cells and networks, including inside Egypt. They receive weapons, ammunition and other sophisticated equipment in the camps. The first cells are already being smuggled across the Libyan borders. The largest element of the Free Egyptian Army is comprised of Egyptian students who fled to Libya. The military commander of these forces is Abu-Fahd al-Zaz, a veteran of the fighting in Syria who returned to Libya to help launch the jihad in Egypt. The liaison officer with the Qataris in the training camps is Abu-Ubaida, a veteran al-Qaida commander who had worked with the Qataris in Libya, Syria and other sensitive projects. Qatari intelligence and military officers are present on Libyan soil and visit Abu-Ubaida frequently to inspect the camps and get progress reports. In mid-July 2013, soon after the Egyptian military overthrew the Morsi Administration and saved Egypt from collapse, the Muslim Brothers established a command post at the Gaza Beach Hotel in the Gaza Strip. The primary mission of the command post is to organize and run the Islamist resistance and, should the need arise, a civil war in Egypt. The Muslim Brothers cooperate closely with the Hamas and the various Al Qaida-affiliated neo-salafist and jihadist forces in Sinai. The Gaza Beach Hotel command post is run by Mahmud Izzat Ibrahim, a senior deputy of the Supreme Guide, known as “the Iron Man”. Hamas sources claim that he is Muslim Brothers senior leader Khairat al-Shater’s right-hand man and deputy for special projects in the underground/clandestine apparatus. Initially, there were at least six Egyptian senior operatives in the Gaza Beach Hotel, as well as a few Hamas and other Arab jihadist leaders help the Egyptians. In mid-August 2013, the number and seniority of the Egyptians at the Gaza Beach Hotel command post rose markedly. Most important was the arrival of the supreme leader of the clandestine arm of the Muslim Brothers. Both the real name and nom-de-guerre of the commander are unknown. The most senior Hamas officials are referring to him as “Mr X” and hold him at great reverence. The key to the power of “Mr X” is that he received his “takfiri” (ie: a Muslim who accuses another of apostasy) education from Sheikh Abdul Meguid al-Shazli, the mentor of both Shater and Supreme Guide Muhammad Badei. Some 20 senior commanders and operatives of the Muslim Brothers’ clandestine apparatus arrived with “Mr X”, bringing the total of Egyptians at the Gaza Beach Hotel command center to more than 30, on top of the few dozen Palestinians and other Arab jihadists who assist in running operations not only in Egypt but also throughout the Middle East. The Ansar Bayt al-Maqdis in its current structure and role was funded in late-August 2013 by the Muslim Brothers leadership. The turning point was a deal between Deputy Supreme Guide Khairat al-Shater and Muhammad al-Zawahiri — Ayman’s brother and leader of the Egyptian Islamic Jihad – which brought the Hamas special operations command and numerous takfiri networks inside Egypt into the deal. As part of the agreement, the Muslim Brothers committed to supplying both Ansar Bayt al-Maqdis and Hamas with weapons from Libya which would be delivered through the Gaza tunnels. Qatar agreed to fund these weapons and both Qatari and Turkish intelligence officials coordinated the weapons purchase and delivery with their Libyan counterparts. Little wonder that Hamas officials often refer to Ansar Bayt al-Maqdis as “the military wing of the Muslim Brothers” in Egypt. However, the Muslim Brothers’ supreme leadership remained apprehensive about their dependence on the Gaza Strip and the Sinai, and therefore, explained the jihadist sources, “kept planning to form its own militia”: the Free Egyptian Army. Meanwhile, according to jihadist sources, Ansar Bayt al-Maqdis was being converted into an elite jihadist force “made up of Hamas militants, youth of the Brothers, and fighters trained in Afghanistan”. Indeed, the Gaza Beach Hotel command post is coordinating closely with Ramzi Mowafi – the Egyptian Al Qaida leader known as the Chief of Sinai – and the jihadist army in the Sinai. The first manifestation of the new cooperation is the emergence in the Sinai of a new jihadist group – “The Communicators with the Mahdi” – which, although comprised mainly of Palestinian members of the Hamas and Islamic Jihad from the Gaza Strip, is focused on fighting the Egyptian Security Forces. Autumn 2013 saw the beginning of sustained operations at the heart of Egypt. The first strikes were amateurish and caused extensive harm to bystanders. The Ansar Bayt al-Maqdis apologized and explained that the attackers “did their best in terms of monitoring and planning so as to avoid injuring any innocent Muslim”. Ansar Bayt al-Maqdis stressed that the ultimate objective of the mujahedin was “attacking [the Government] without inflicting harm in the ranks of the Muslims” and called on all Egyptian Muslims “to come together around their mujahedin brothers in their war against” the security forces. An individual identified as Abu-Osama al-Masri emerged as the chief spokesman of Ansar Bayt al-Maqdis. In Winter 2013-2014, Ansar Bayt al-Maqdis became sufficiently strong and stable to escalate operations throughout the heart of Egypt, from Cairo to the Delta and Suez Canal cities. The Ansar Bayt al-Maqdis networks have since carried out numerous car-bombings, shooting attacks and assassinations of senior security personnel. The jihadist commanders consider this the beginning of a long jihad which would ultimately restore Islamist government to Egypt. The jihadists are escalating their jihad to destabilize Egypt through “the battle for avenging the Muslims of Egypt.” According to the jihadist sources, the primary objectives of Ansar Bayt al-Maqdis are “to target vital installations, mainly the bombing of the Aswan High Dam, which was at the top of their target list, in addition to targeting a number of churches, places of worship, and police and army facilities”. The jihadist sources stressed that once the Free Egyptian Army, the new forces of the Ansar Bayt al-Maqdis, and a myriad of localized jihadist-takfiri networks are unleashed, Cairo would be shocked by the spread and magnitude of the violence. The jihadist leaders and their sponsoring states were convinced that “Egypt is in a real crisis” and that Cairo was incapable of meeting the new challenge. “The ignorance of the security forces and intelligence services of these new elements of terrorism is disastrous,” the jihadist sources claimed.